Sorry for the delay all. Just got off of finals and I'm ready to roll! Except, when I went to access the file it said "404: Not found". VJ, can you reupload? I'll have it checked within 24 hours if you can. EDIT: it seems like there is some sort of issue with fileden. Just tried to access the 4 Star Meats XML and it said the same thing. Gilligan wrote: Sorry for the delay all. Just got off of finals and I'm ready to roll! Yes there has been problems with fileden lately. I suggest attaching the file in the post for now. I sent vj a text, but maybe in the mean time it will allow access. I'm able to click on the link. Hm, it gave me an error before, but it's up now. I've saved it just in case it goes down again. I'll check it tomorrow! After those four minor adjustments, I'm all up in stamp-ville. Thanks G. Are you talking from a graphics standpoint, to move the actual text or symbol, or are you speaking strictly from an xml standpoint where the 888's need to be moved? Strict XML coordinates, I'm totally good with graphics. I hope this works. V.J. had to run but sent this to me to post. Let me know if there is a problem. I hate fileden so much right now. Trying to find another hosting website. If anyone knows of one, let me know. Most of the ones I'm encountering are download links, not file links. We need file links! Gilligan wrote: I hate fileden so much right now. Trying to find another hosting website. What about one of these? I didn't look too much into them, but check them out. No more emailing large attachments! With our File Sharing feature a unique link is created for the file you wish to share. You can also have an email sent directly from your ADrive account. The unique link to your shared file will be included in the email. Share and unshare files as you wish! Mimedia aiming to be not just another storage service solution - It brings you a totally new approach to protect, access, enjoy and share your digital life in one place. Sorry, again I didn't really look too hard, just saw free, but I guess free is only free once you pay a price. You have our file though, correct? Just want to make sure it posted. Seamus76 wrote: You have our file though, correct? Just want to make sure it posted. Yeah, I have the downloaded version, just can't "Inspect Map". isaiah was able to host it on his personal website, but I can't share the link cause he doesn't want his website ousted. As soon as we find a new source (or fileden works again) I'll upload it there to share. Gilligan wrote: isaiah was able to host it on his personal website, but I can't share the link cause he doesn't want his website ousted. Thanks so much. Was there anything else you needed from us? Everything is good to go on my end! I know there are a lot of maps in beta at the moment, but is there a potential eta on this and 4 Star Meats? Just curious, thanks. 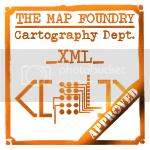 The map has passed through rigorous gameplay and graphics examinations and all major concerns have been addressed, the xml has been checked and stamped. So, If you have any other concerns, please make your voice heard. TNB might have a copy of this somewhere, Seamus, but I think this is the most recent one I have. Gilligan wrote: TNB might have a copy of this somewhere, Seamus, but I think this is the most recent one I have. Thanks. I went ahead and added this to the OP.